Read this last month and never got around to reviewing it. The book didn't really live up to its reputation, I think. 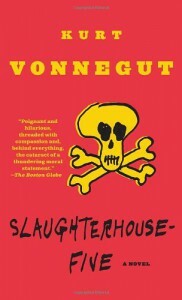 But then I haven't read Vonnegut for a long time and maybe I wasn't in the mood for his particular type of satire. Decent read, not great, but I'm glad I finally read it.